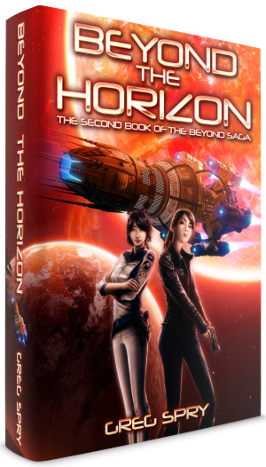 Below, you'll find the press release for Beyond the Horizon, the second book of Greg Spry's Beyond Saga. Madison, WI, May 1, 2016—Portraying action-packed space combat set in exotic locations throughout the solar system, science fiction author Greg Spry’s debut space opera, BEYOND CLOUD NINE, gets the blood pumping while exploring a vexing ethical dilemma. With the release of his second book, BEYOND THE HORIZON, Spry takes the exploration of space and mind to new heights. In book one, when ace star fighter pilot Brooke Davis gets sucked into a conspiracy she wants no part of—all she cares about is becoming the first person to fly faster than light—her actions and inactions dictate the moral foundation of future civilization. "Brooke is a conflicted do-gooder," Spry explains. "The ironies in her character embody the main theme. Brooke fights to expose the truth even though she lies to herself about her drug use and estrangement from her family. Only through caring for her niece does Brooke begin to grow and change." Beyond Cloud Nine asks if we would rather live blissful lives built on a foundation of misdeeds or sacrifice our joy for the sake of what’s right. "It’s an ends-justify-the-means-type quandary," Spry says, "one that’s particularly relevant in a presidential election year. 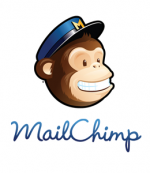 Candidates build campaigns by massaging the truth to gain office. Are they justified in doing so if they have the country’s best interests at heart? Or are they simply lying to gain power?" That type of deception is magnified a thousand times in Beyond Cloud Nine by antagonists who use the threat of alien invasion to their advantage. "Utopia by deception," the book’s catch phrase, encapsulates how the human race is manipulated toward a promising end. Beyond the Horizon expounds upon the same theme. All grown up, Brooke’s niece, Ensign Maya Davis, ships out aboard humankind’s first interstellar starship, New Horizons, with wide-eyed enthusiasm. But when sabotage cripples the ship and kills every member of the senior leadership, the young officer is faced with a difficult choice. Should she support a plan to kill off an intelligent race of benevolent beings if the ploy ensures mankind’s future? Or should she work to foil the scheme even though her actions may spell the beginning of the end for the human race? "Book two raises the stakes by threatening more than just humans," Spry reveals. "If it’s us or them, are we justified in doing whatever’s necessary for self-preservation?" The upcoming third and fourth books in the Beyond Saga tetralogy, BEYOND YESTERDAY and BEYOND EXISTENCE, continue to pose difficult questions while adding time travel, interdimensional travel, and intergalactic travel into the mix. Published by Beyond Innovation Books, Beyond Cloud Nine and Beyond the Horizon have been professionally edited and proofread and feature stunningly beautiful covers. 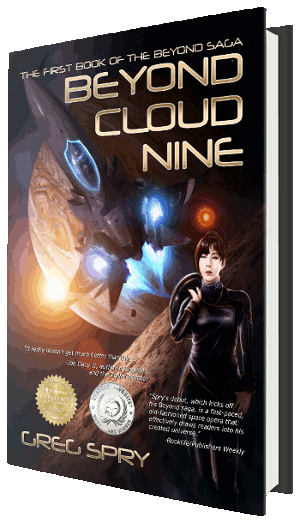 In 2015, Beyond Cloud Nine received the Silver Medal in the Readers' Favorite International Book Awards for Science Fiction and was an IAN Book of the Year Awards Finalist for Science Fiction. 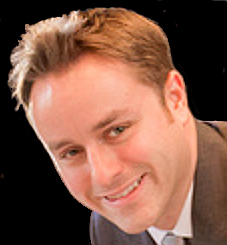 Greg Spry has a master's degree in space systems from the Florida Institute of Technology and an engineering degree from the University of Wisconsin—Madison that help him world-build on a foundation of hard science. With over ten years' of experience in writing, he also knows how to craft fast-paced exposition that grips readers. Review copies and interviews are available upon request. Contact Greg Spry for details.